Make your Valentine’s Day complete with the perfect wine pairing. Below we have hand selected and tasted 8 bottles we believe will pair perfectly with a range of meals. Looking for some prepared meals to go with these great wines? We have also selected some pairings from Market Halls special Valentine’s Day menu that would go great with our wine selections. This village-level Pinot Noir is a fantastic value. Approachable and generous with its raspberry fruit and slight spiced note, it is enjoyable on its own and most certainly a versatile choice for chicken, pork, or game if you are cooking for your special someone. 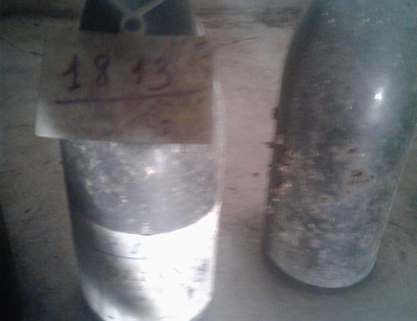 This is an old-vine offering from one of Gevrey’s top producers. 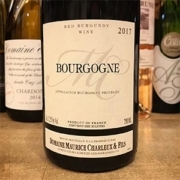 It greets the taster with aromas of ripe black cherries and red currants, followed by crushed rock, damp earth, and strawberries on the palate. A bold and traditional offering with good acid and length. Pairs perfectly with duck. This cuvee is the epitome of richness and balance. 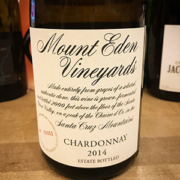 Full-bodied, crisp golden apple and lemon chiffon on the nose, followed by vibrant acidity and a good weight on the palate. This is serious Santa Cruz Chardonnay that is grown, fermented, and bottled at 2,000 feet of elevation. Pretty, red fruits with a crisp clean close. Excellent and drinkable Valentines Day pink from Beaujolais! 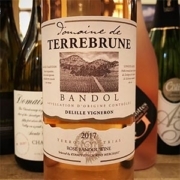 With high aromatics of honeydew melon and white flowers, this Bandol is on the lighter side, and arguably the most elegant rosé that we have in the shop. Chin-chin! This bottle of bubbles is pure delight. A blend of Chenin, Pinot Noir, and Chardonnay, we’re charmed by the atypical yet decadent aromas of Anjou pear and baking spices. This Loire sparkler is a little rich but has a clean, dry close. 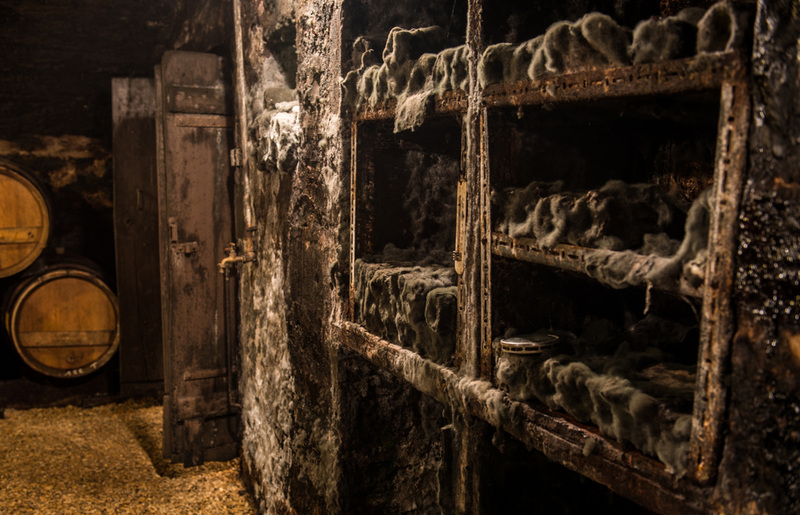 the 18th century, and remains today one of the most unique and high-quality producers in the region. 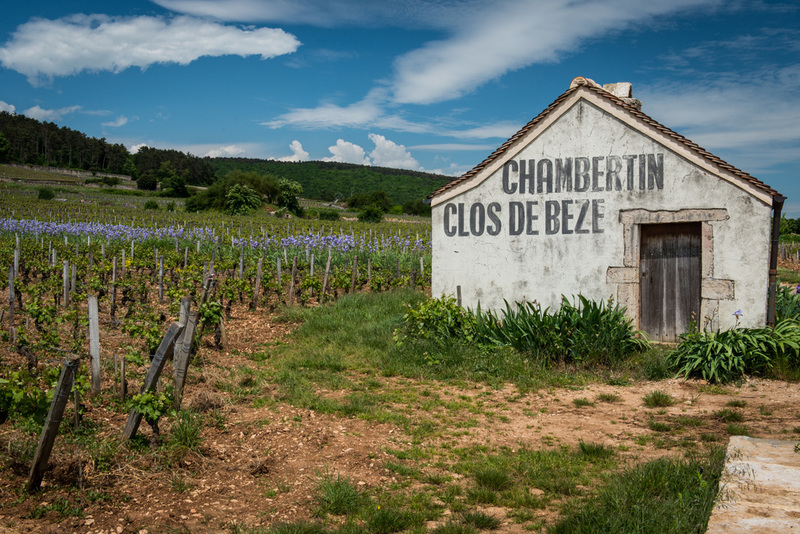 The grapes achieve optimal ripeness and are only sourced from Grand or Premier Cru plots. 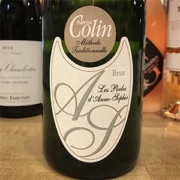 This graceful bottle showcases flavors of star fruit and lemon curd, but it is the wine’s lithe acidity and palpable minerality that make it an exceptionally balanced and beautiful Champagne. Market Hall Foods will be featuring a special Valentine’s Day menu, to compliment their updated menu, we have selected a Red and White that will compliment most of the menu. This Sauvignon Blanc hails from Menetou-Salon, an appellation adjacent to Sancerre. In this single-vineyard offering, we encounter subtle orchard fruit and herbaceous notes highlighted by limestone minerality. Valentine’s Menu pairing: Crab Croquettes with Lemon Caper Aioli, Beet-Cured Salmon with Horseradish Crème Fraîche, or Mixed Chicories Salad with Citrus, Mint & Green Olives. 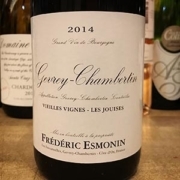 This wine, from one of Gevrey’s top producers, opens with aromas of black cherries and red currants, followed by earth, strawberries and wet stone on the palate. Bold and traditional with good acid and length, this middleweight old-vine Pinot Noir perfectly complements the earthiness of braised duck and mushrooms. Valentine’s Menu pairing: Braised Duck Legs with Wild Mushrooms & Cipollini Onions. This “Cremant” (which is a sparkling wine made in the same way as Champagne, but from a different region in France), is broad and rich. The wine shows very subtle fruit, with bass notes of salinity and minerality, complementing the light brine and fruitiness of Tsar Nicolai’s “Classic” caviar. 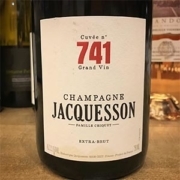 This Chardonnay-based Champagne has high-toned citrus and herbal notes, with plenty of acidity and brightness to complement the richer sea brine of the “Estate” level caviar, while the wine’s limestone minerality coaxes out its more subtle flavors. This Champagne is made of a single grape variety, called “Meunier.” This is a grape which contributes body and richness to Champagne blends. In this Dehours bottling, extended lees contact provides toasted, brioche-like flavors that meld perfectly with the decadent and earthy flavor of truffles. 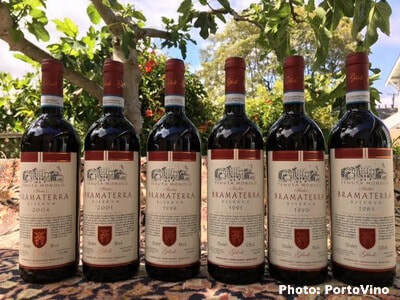 I recently had the opportunity to taste several older vintages of Bramaterra Riservas from Umberto Dilodi of Tenuta Monolo, thanks to PortoVino importers. The tasting was held at the Kebabery in Oakland, and sure enough, Kebabs and aged Bramaterra Riservas are a stellar match! 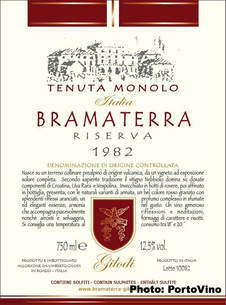 The DOC of Bramaterra borders Gattinara and Lessona in Alto Piemonte. 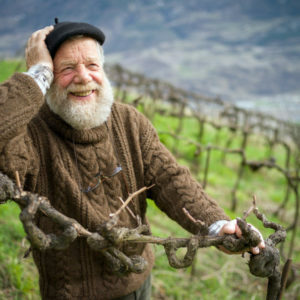 This particular DOC has a unique terroir in that it is less exposed to wind, coming predominantly from the north, and is composed of both volcanic and marine soils. 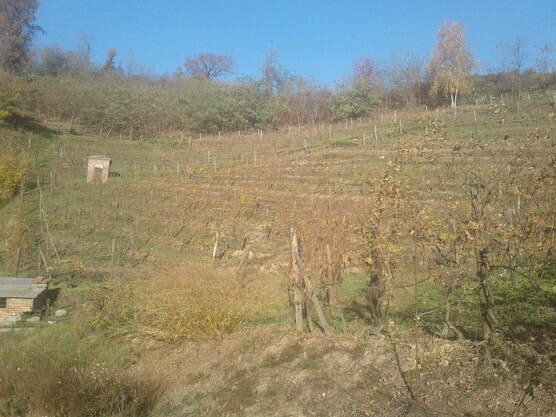 Spanna (Nebbiolo), Vespolina, Croatina, and Uva Rara grapes are typically grown in the region. 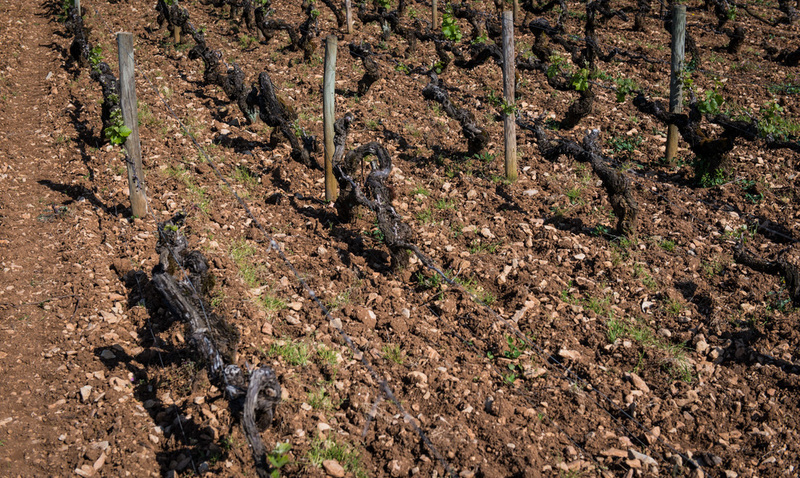 Since the climate here is cooler, the tannins of Spanna generally do not ripen to the same extent as its neighbors, and so instead it is often blended with the other grapes grown. As a result, the wines are known for their freshness, as well as balance and power. Supple and gentle on the palate, with a nice lift of acidity and good length. Great combination of tertiary aromas, including white pepper, cherry, and roses. Perfect to drink now. More structure and tannin, and a bit more rustic in character, with predominately meaty, spicy, and floral notes. My favorite based on its high acidity, fine tannins, and detailed spice notes. I particularly enjoyed its energy and precision. The earthiest of the bunch, showing less floral character and more dusty mushroom and savory tomato notes. Also with less acidity than the ’96 so the wine is lovely and gentle on the palate. Do expect to find sediment, and as such we highly recommend decanting this wine. 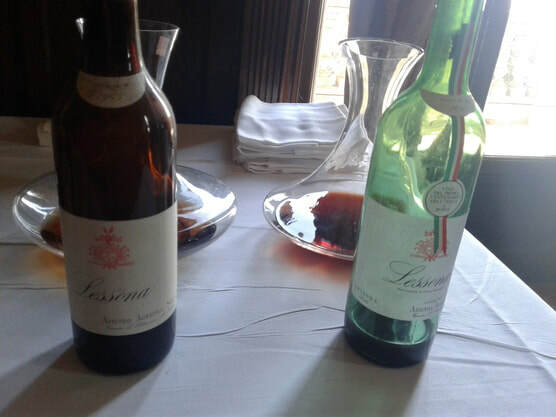 Moving towards tertiary aromas and flavors. You will find rustic woodsy, wool, and meaty character on the nose, in addition to salty flavors. 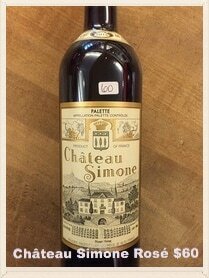 This wine expresses the vintage, which on the whole was a bit warmer, with a heartier and tannic palate. This would be outstanding paired with grilled steak or kebabs. Absolutely lovely, lighter-bodied, and etherial. Quite simply a pleasure to drink. 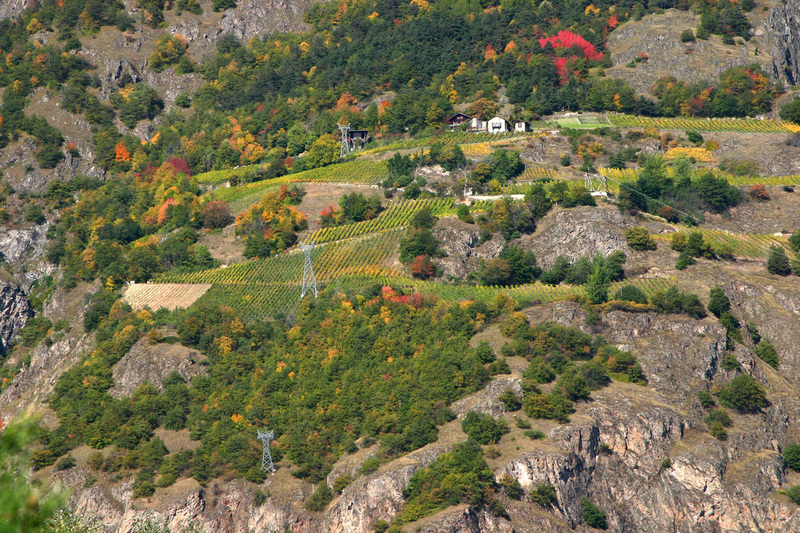 Just last week we brought in two deliciously obscure wines from a tiny Swiss producer in Valais, which the importer alleges is accessible only by a dangerous-looking alpine gondola. 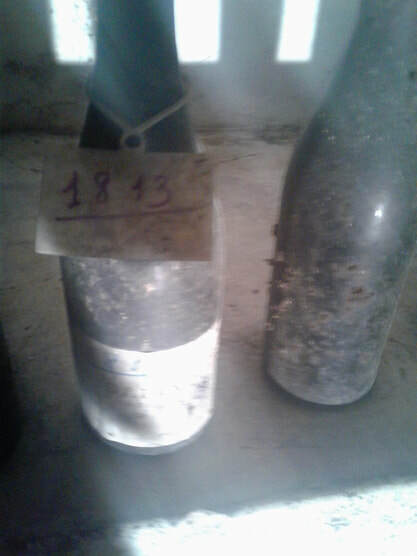 Unfortunately, as I reached out for more information about these wines, I was alarmed to hear that Jacky Granges, the grower and winemaker who took over in 1971 and developed the vineyards to be fully biodynamic by 1992, had passed away in the short time between tasting his wines and their arrival at the shop. Tragedy, however, makes them no less interesting or delicious. 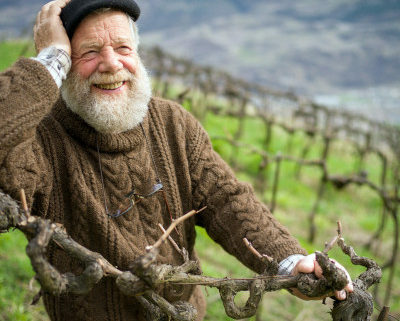 Instead, perhaps we can look on the brighter side and consider the liveliness of his wines as an opportunity to experience a small sliver of existence upon the mountaintop parcels of Domaine de Beudon, rife with medicinal herbs, livestock, and onsite hydroelectric power to create an oasis of grape-friendly agriculture. The notable absence of wooden barrels at Domaine de Beudon belied a depth of flavor and fine tannin that I usually associate with cold-climate, thin-skinned grapes like Pinot Noir and Gamay which comprise the majority of 2007 Vielles Vignes “Constellation” Valias Rouge. In addition, a small amount of Diolinor (an indigenous variety) is blended with the wine to give the bright bing-cherry flavors a bit more density. With the bottle age, indigenous yeast vinification, and cool, slow fermentation of grapes grown on granitic soil, a tough, rusty-ness holds the wine to the earth while the complex aromas slowly rise from the glass. Similarly, the 2009 “Schiller” Valais Rose, which substitutes indigenous Fendant for the Diolinoir of the rouge, opens with a rich iron-like aroma, and continues through the palate with excellent acidity and fresh Rainier-cherry fruit intensity. Where the rouge is centered and earth-bound, the rose feels like a creaking swing set with enough lift and gravity to consider a full loop around. 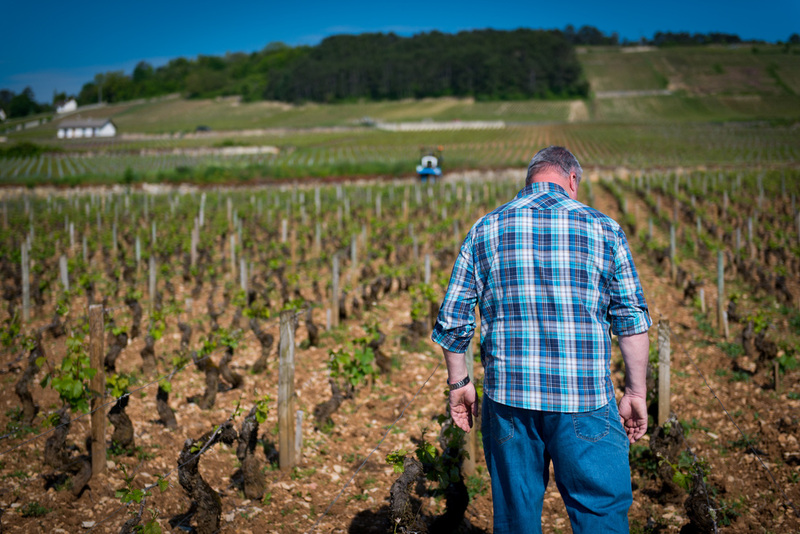 Up and down with a tension born of high-altitude natural farming, the wines of Domaine de Beudon are excellent, but limited. 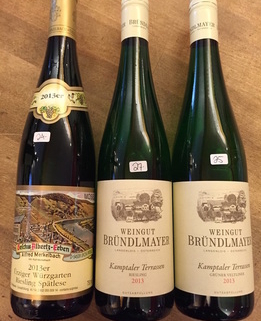 We are fortunate to have these examples of artisan winemaking in our shop, and oh how far to slake this sacred thirst. Eric Asimov’s article in The New York Times this week, “12 Everyday Bottles for Wine Lovers”, is a savvy list of versatile, food-friendly wines you should keep stocked around at all times. 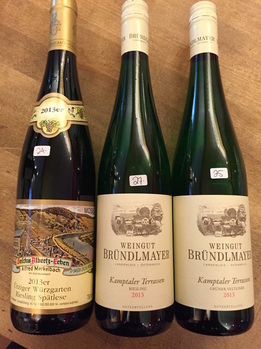 Paul Marcus Wines currently is carrying several of these producers and types of wine recommended, including the following: 2010 Selbach Oster Zeltinger Schlossberg Riesling Kabinett $26 2013 Merkelbach Ürziger Würzgarten Riesling Spätlese $24 2013 Bründlmayer Kamptaler Terrassen Riesling $27 2013 Bründlmayer Kamptaler Terrassen Gruner Veltliner $25 2012 Felsina Chianti Classico $24 Enjoy! 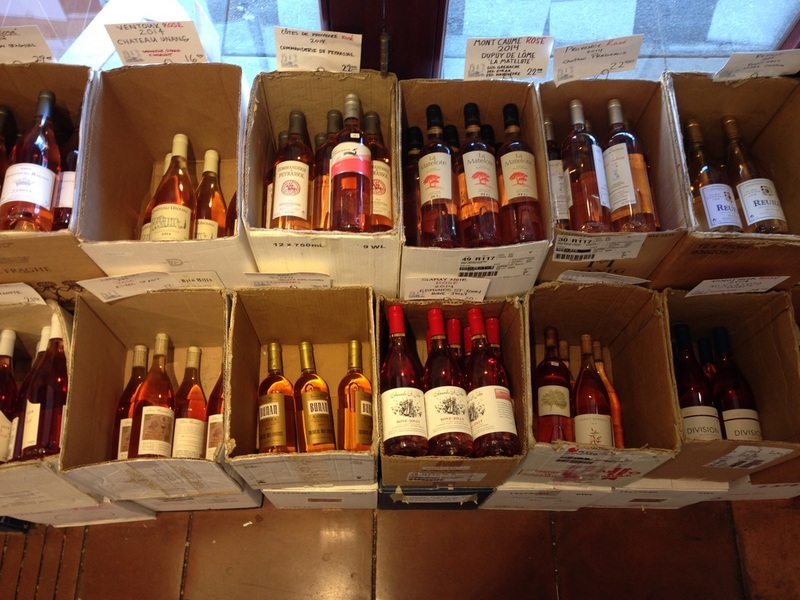 This time of year here at Paul Marcus Wines we are down right Rosé crazy! We live, breath and well uh.. drink the stuff like it is going out of style. And if being fanatical about Rosé is wrong, then we don’t wanna be right. There is something about the crisp and refreshing nature of Rosé wine, not to mention it’s hugely versatile food pairing capability, that makes us all warm and fuzzy like a troop of giddy schoolgirls. And just when we thought our passion for pink couldn’t get any stronger, we’ve gone and outdid ourselves. Currently PMW offers nearly 50 Rosés from countless appellations all over the world! A grand parcel of prime real estate in the front of the store is and will be dedicated to Rosé mania throughout the summer. It’s a thing of sheer beauty. 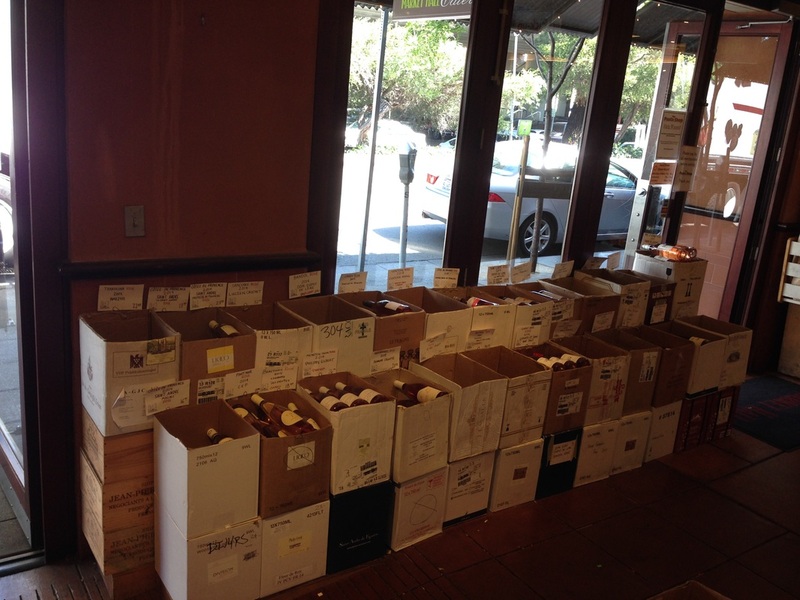 It’s a constant game of Tetris trying to make room for all the great Rosé we taste. Just recently this plethora of pink pleasure packed pests decided to play not so nice in the sandbox, essentially banishing their long time neighbor Spanish whites, to an entirely different section! Now you may be asking yourself a question asked by many of our customers. Isn’t the Rosé category way out of style and aren’t they all sweet and of questionable quality? You are not alone in this realm of thinking. 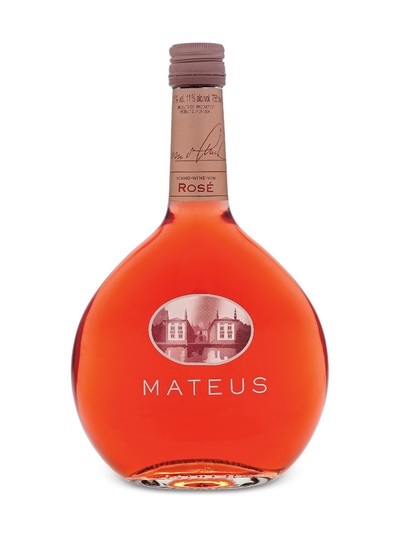 Even though delicious dry and high quality Rosé has pretty much always been produced, it is unfortunately in most peoples minds been lumped into the same category as your Mother’s Mateus and your Grandmother’s White Zinfandel. And when you think about it it’s not all that surprising. Beringer, a well known mammoth of a winery from California, practically made their entire fortune by churning out over one hundred thousand cases a year of their affordable sweet blush. It’s been burned into the masses minds that Rosé can’t be anything but the sweet plonk of days past. Somebody drinks this stuff, right? Blush makes you beautiful, doesn’t it? Fortunately PMW has unbelievable access to the finest wines in the world. 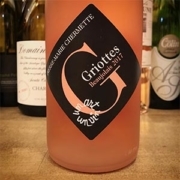 We are clobbered every Spring with a multitude of hand crafted Rosés made by producers who seek to fortify the reputation of Rosé as a world class wine that should always be considered when you are making your selection for your Friday night party or better yet Saturday barbecue. We wouldn’t be doing right by these hard working pink wine artisans if we didn’t succeed in spreading our undying love for Rosé. So there we are, constantly urging our patrons to “think pink” and witnessing ridiculous amounts of Rosé walk out our very door every single day. 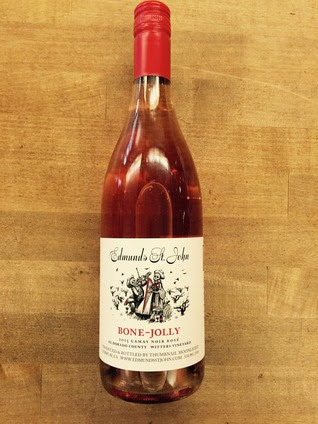 We are proud knowing that bone dry and highly satiating Rosé is being prominently featured all over the globe on wine lists and retail establishments. I suppose we would be leaving a stone unturned if we weren’t to explain just why we are so damn excited about this particular wine category. Rosé wine is basically a pink potion made by bleeding or pressing juice from red grapes (the color comes from the contact with the grape skins) or by blending portions of red wine and white wine together. It’s a process that can coax some of the most delicate and pretty aromatics possible from nearly any variety of black-skinned grapes. So what does this mean in terms of the flavor of the wine and it’s practical application? Well in a nutshell, you kinda are able to get the best of both worlds! You can attain the fresh and bright acid driven character of great white wine plus the highly desirable red fruit and secondary flavor characteristics of great red wine. You can even impart phenolic content to the wine. Yes, Rosé can have tannin too! Because of this harmony of red and white wine attributes, Rosé can go beautifully with many foods that most might only pair with either a red or a white wine. Their generous fruit and staunch acidities make them matchable with a vast array of dishes. Have you ever been out to dinner at a nice restaurant and everyone at the table orders drastically different dishes, and the host is struggling to choose a wine that can fill the tall order of being tasty with Chicken Caeser Salad, Seared Rare Tuna and Grilled Ribeye. 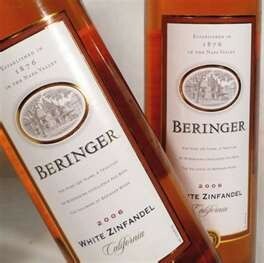 Rosé, along with Riesling and Champagne by the way, might be their huckleberry! 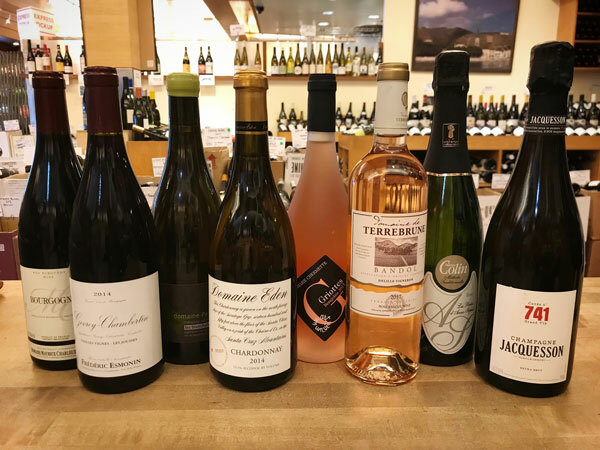 And whats more is that Rosé is made in a wide variety of different weights, from lighter bodied quaffable styles to full bodied deeply textured styles. This means that while Rosé can obviously be sipped at your fourth of July barbecue it can also be enjoyed in front of a cozy fire in the dead of winter, in other words all year round. 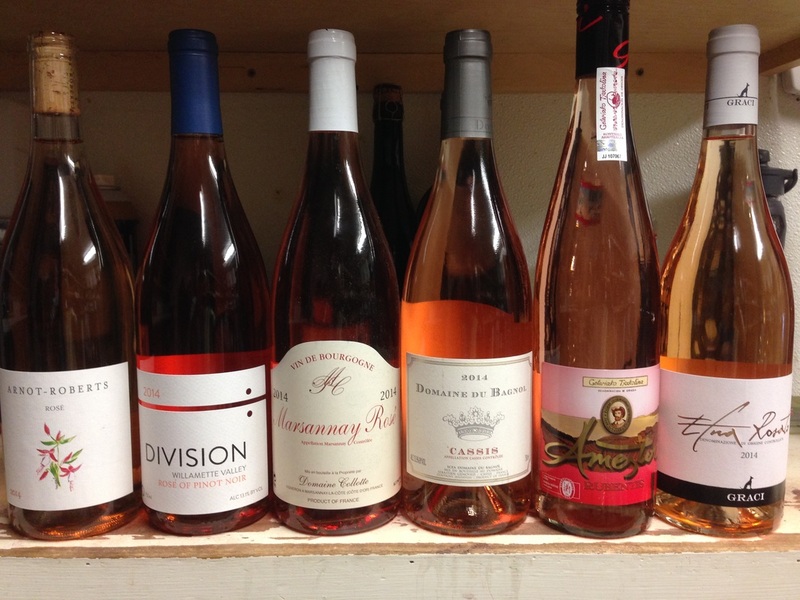 Any season is Rose season here at PMW and no matter what time of year we always have some tasty pink wine on deck. 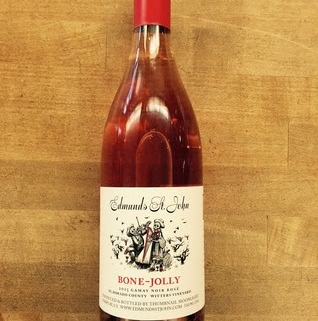 The last and certainly not least reason why we love drinking Rosé so much is because, its just so damn easy to drink. 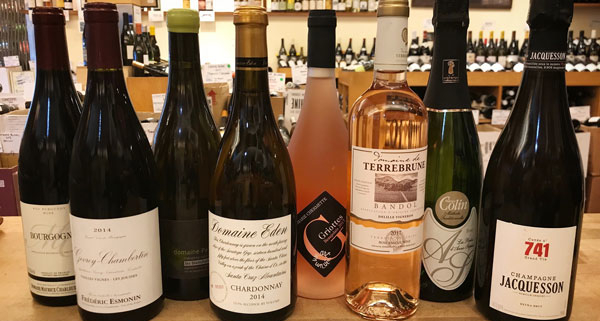 After a long day of tasting red wine being hit over the head with heavy, extracted, or tannic wines, Rosé seems perfect cleanse the palate and take our minds off the daunting task of deciding which of the ten Pinot Noirs we tasted are worthy enough to be featured in our humble store. The same way many use a cold beer to relax after a hard day at work. If our passion for pink wine isn’t obvious by now, we encourage you to come on down to the shop and see for yourself how dedicated we have been to putting bottles of Rosé into our customers hands for decades. With that in mind we would like to give you a peak at what Rosés we have been especially excited about lately. We’ll have you know that this is just a mere glimpse of what we offer and theres plenty more where that come from. Have you seen our Spanish neighbors lately? Nah, I think they got tired of our late night shenanigans and moved across the bay. “The wine is showing floral and spice nose with savory and wild strawberry aspects. The palate mineral rich, like wet rock, and intense in strawberry and Rainier cherry. The wine is light and crisp and has an intense wild pink salmon color. Out of the gates and drinking very well, but will likely evolve coming months and gain in complexity.” 190 cases made. Please remember we offer 10% off any twelve bottles of wine. This can save you some coin when you are putting together a case of Rosé for your next weekend event. Cheers and thank you to our loyal patrons.